GET YOUR $2000 BONUS PACKAGE NOW! Titanbet Poker, as the name suggests, has been a 'giant' of the online poker world since the site launched in 2005. Powered by Playtech, Titanbet's software is second only on Full Tilt's or PokerStars'. That means you can load up multiple tables comfortably or enjoy a totally user-friendly lobby. Whether you're on Mac or PC, players can access the best games straight away. PC users have a choice between download or instant-play software, while Mac users can play for real money via their web browser. Although many skins have departed the iPoker network over the years, it still boasts pretty impressive traffic at peak times. Titanbet is part of a network that can boast over 2,000 players every day, packing in the low-stakes cash games and tournaments. Most players congregate at the $0.10/0.25 No Limit Hold'em cash tables, with Pot Limit Hold'em and PLO cash tables well-attended at weekends. Weekly guarantees also attract a decent amount of players although starting times aren't too friendly to Aussie players. Unsurprisingly, No Limit Texas Hold'em dominates the lobby at Titanbet Poker, but players can enjoy Omaha Hi/Omaha Hi-Lo cash games and tournaments, plus 5 and 7-card Stud, and iPoker's famous Twister SNGs. Titanbet's own fast-fold poker version is in evidence at the site: Speed Poker. Cash games are available in Texas Hold'em and Omaha flavours, where players get moved tables as soon as a hand ends. Speed Tournaments are also available. 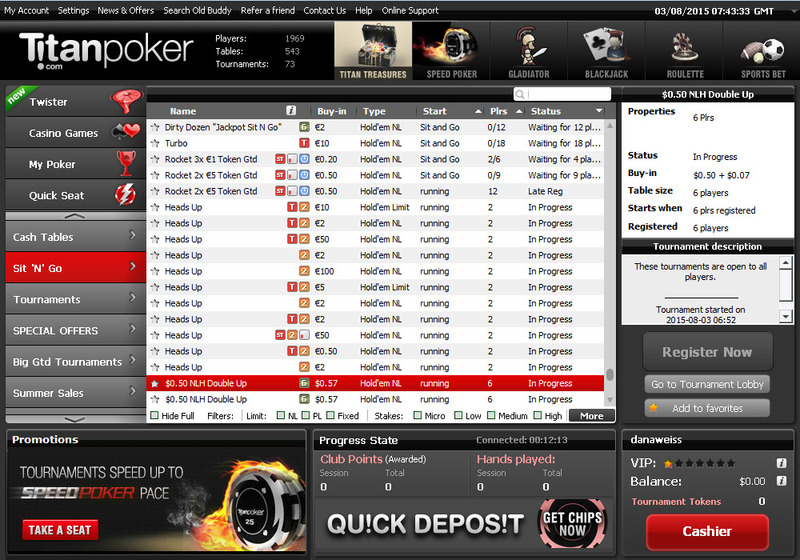 iPoker is famous for its SNG offerings. The Fort Knox SNGs have been a hit for almost 10 years, and players can bag thousands of dollars in prizes if they bag a series of Sit n' Gos in a row. Meanwhile, Twister Poker takes advantage of the current 'Jackpot Sit n' Go' craze. In Twister SNGs, a randomly-selected jackpot is assigned to each 3-man Sit 'n Go before play starts. 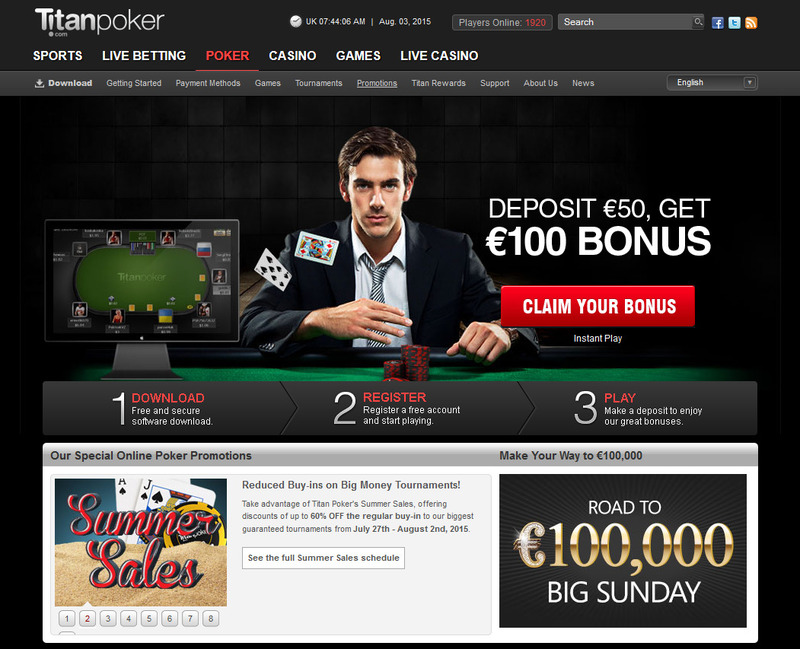 If you buy-in for €10 you can be assigned a prizepool up to €10,000. A good poker site wouldn't be much good without a massive weekly guarantee. And with the €100,000 Big Sunday guarantees, you'll have a chance to share in a huge prize every week. Buy-in costs €75 and satellites start from 50 cents. It's not as big as the big rivals' Sunday events, but it still attracts over 1,000 runners each week. On a smaller scale, €20,000 'Grand Friday' and 'Grand Saturday' events attract plenty of action. Being part of the iPoker network, cash games at Titanbet Poker are well-populated. The site spreads a great range of PLO, Hold'em, and Stud cash games at all stakes. 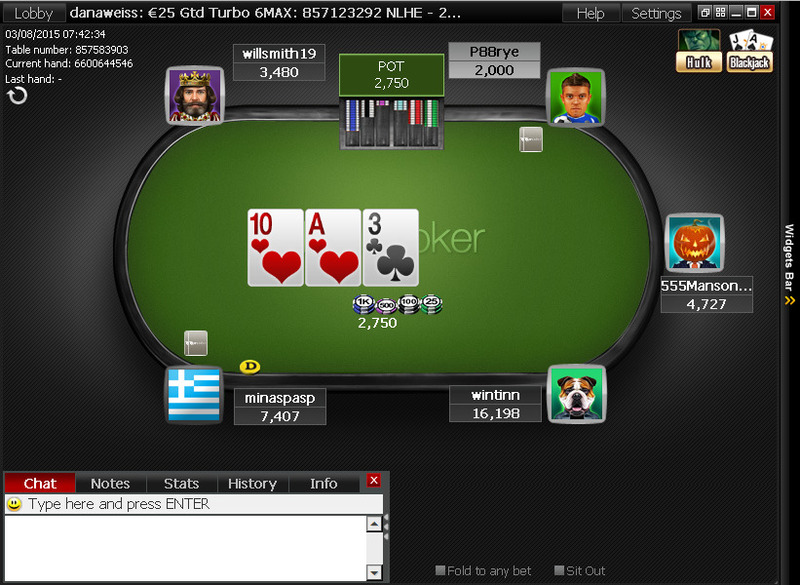 There are around 2,000 players a day at peak times populating the tables. If you like taking on the fish, you're in luck. Titanbet Poker has always been about tackling the fishy regulars, and you'll find some great opposition at the lower NLHE stakes. Coached and staked grinders tend to populate the $0.25/0.50 NLHE cash games most evenings. Get your player notes at the ready. Aussies can enjoy instant deposits via a massive range of banking options at Titanbet Poker. VISA, MasterCard and Maestro deposits are processed straight away, while leading e-Wallets like PayPal, NETELLER and Skrill can be used for free. Australian depositors can also transfer funds using Bank Transfer or POLi. PC users at Titanbet can download a simple client to their desktops. Mac users aren't neglected, however, with a solid no-download option which works in Java via the player's web browser. PC customers can also access their accounts via the instant-play client. Titanbet, and indeed iPoker, has always been about no-nonsense, clean software. Choose from several card colours and table views, and multi-table 16 tables easily with Titanbet's slick 'Mini-Table' option. New Titanbet Poker players can enjoy a welcome bonus worth 200% up to $1,200 when they join up. As well as matched cash, new customers can access plenty of freerolls and tournaments via free tourney tokens. In total, bonus offers are around $12,000 including entry into a $6,000 Monthly Bonanza and 10,000 Titanbet Treasure Gold Coins. New players also get Ultimate Rakeback, which guarantees €1 of cash for every 100 Titanbet player points earned. There is also a Refer-a-Friend bonus where both you and new depositing friends can earn cashback and tournament tokens. GET A $2000 BONUS PACKAGE FROM TITAN POKER AND PLAY NOW! Absolutely. Titanbet Poker has been a solid Playtech-powered poker room for over 10 years. It currently holds an Antigua license and a coveted UK Gambling Commission license to operate in the UK. What Poker Variations Do They Offer? Titanbet offers a good spread of Pot Limit and No Limit Hold'em cash games and tournaments. However, players can also find Omaha, 7-card Stud, 5-card Stud, and fast-fold poker (Speed Poker). No. 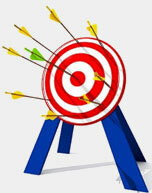 PC users have two options: a downloadable client or an instant-play site played via the web browser. Mac and Linux customers can load up via their web browsers. Yes. Both iOS and Android players can enjoy the Titanbet Poker Mobile app via their web browser, simply by logging in via the Titanbet homepage. iPhone, iPad and Android devices are all supported. Can I Play In Australian Dollars? No. You will have to make deposits in GBP or Euros in order to play poker online. Titanbet Poker processes withdrawal requests within 48 hours. 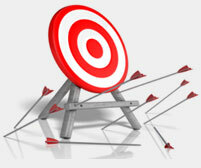 Depending on the deposit option your can expect to find your winnings in your account within 3-5 business days. Yes. Titanbet offers excellent play-money games, available via your web browser or download. Do They Offer Tournament Play? Yes. There is a good range of big-money guarantees running every week on the site. However, $10 and $20 MTTs and SNGs run throughout the week and attract hundreds of runners.